Below are some pictures of Runwell Cricket Club activities. Unfortunately there are only two. We would like to hear more about a club which no longer exists. This photograph came from the 'Echo' archive and shows a presentation taking place in 1987. More information is requested. 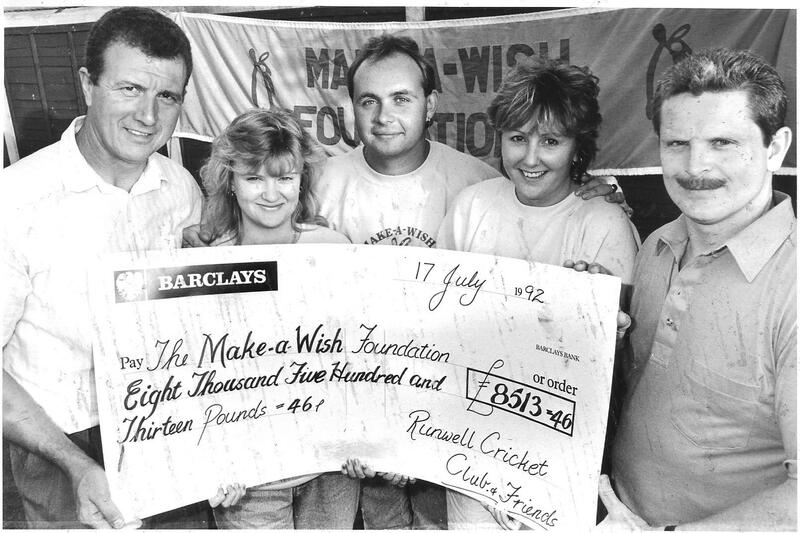 This picture shows a cheque being presented in 1992 to 'Make a Wish'. Jim Sloane and Steven Floyd were making the presentation from money raised by a sponsored cricket match involving Runwell and three other teams. 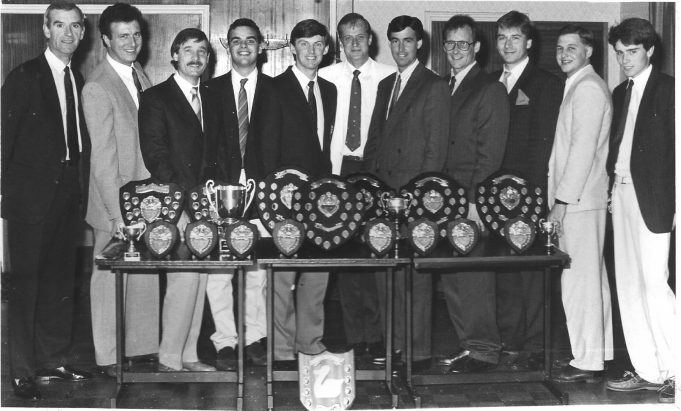 Cricket, lovely cricket, the early years of Wickford Cricket Club. Wickford Cricket Club's centenary celebration. WICKFORD TOWN YOUTH FOOTBALL CLUB - the history.